A man puts his beloved pets to the knife; a family prepares for the Rapture; a woman in a department store slips a necklace into her purse. 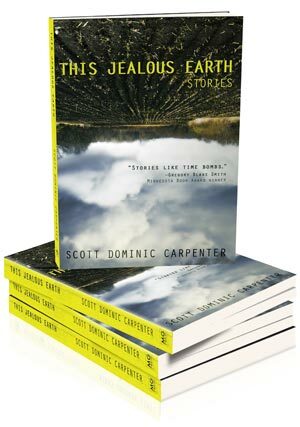 Whatever the situation, the characters in This Jealous Earth find themselves faced with moments of decision that will forever alter the course of their lives. Always moving and often touched with humor, Carpenter’s stories examine the tension between the everyday and the transcendent—our struggle to grasp what lies beyond our reach. Whether hawking body parts in a Midwestern city, orbiting through the galleries of a Paris museum or plotting sibling tortures in an Arizona desert, his characters lead us through a series of dilemmas of universal appeal. Scott Dominic Carpenter was born in Minneapolis but grew up on the move. After proving himself ill-suited to mining, factory work, and other forms of hard labor, he took refuge in libraries and classrooms, many of them in Madison, Wisconsin. 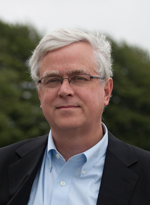 He teaches French literature and critical theory at Carleton College (MN), but in addition to his scholarly work, he commits fiction, examples of which have appeared in venues like Chamber Four, Ducts, Midwestern Gothic, The MacGuffin, Prime Number and Spilling Ink. A Pushcart Prize nominee and a semi-finalist for the MVP Competition from New Rivers Press, he will soon release a debut novel (Theory of Remainders, Winter Goose Publishing). His website is http://www.sdcarpenter.com.